My first full PC game, Arcangel took nearly two years to develop and was, in effect, a 3D isometric version of my Amiga game Hilt II. Some of the levels and missions were very similar to those in Hilt II, but Arcangel had many other gameplay improvements. The game was never published. Some unofficial, pre-release copies of this game became distributed in some retail outlets without my knowledge. 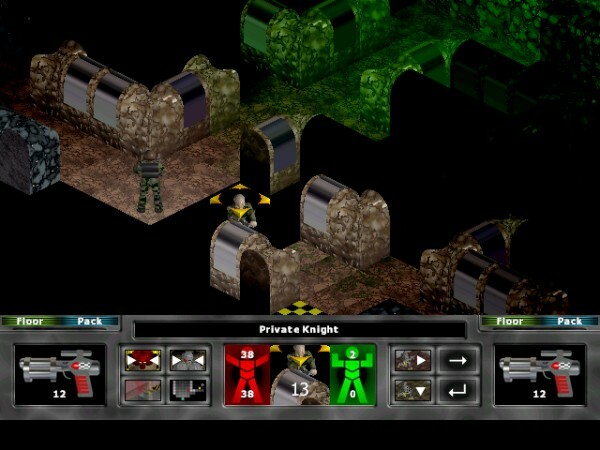 The game was developed for CD-ROM only and has difficulty working on modern computers. It is no longer available, although the CD quality soundtrack was later published by Corntopia Music. The music was compared to that of Philip Glass and is still available on Amazon and other digital music retailers. I always loved this sort of turn based strategy game, and some years later I develped a fully 3D sequel to Arcangel called Taskforce.